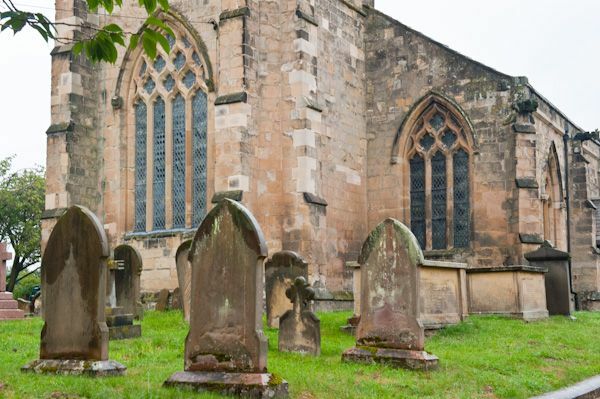 The church of St Andrew is known as The Cathedral of the Wolds, a testament to its size and impressive Gothic architecture. This is an imposing 13th-century church rebuilt in the 1330s and 1340s under the then rector William de Brocklesby. 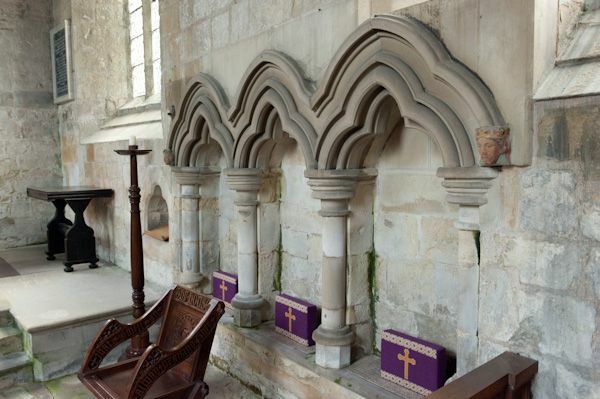 The windows feature lovely reticulated tracery in Decorated style, and the nave arcade is supported on four bays of tall octagonal piers. 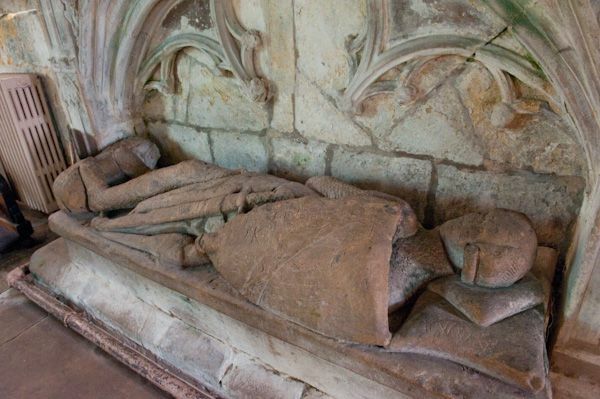 The most interesting historic feature of the interior is a large tomb in the south aisle, to a member of the de Mauley family, who owned the manors of Bainton and Neswick for over 200 years. 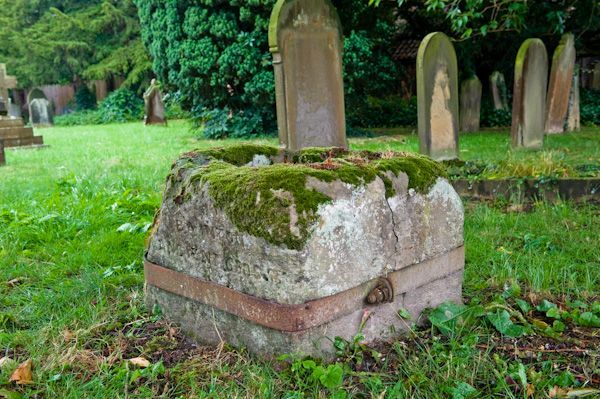 There seems to be some debate as to which de Mauley the tomb commemorates; the historical information in the church suggests that it is Sir Edmund de Mauley (d. 1314). 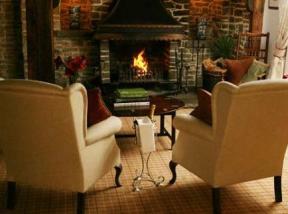 Other sources suggest that is is, in fact, Sir John de Mauley (d. 1331). 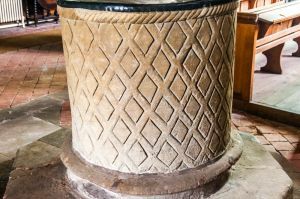 In any case, the de Mauley tomb is a lovely bit of 14th-century architecture, similar in style to the grand Percy Tomb in Beverley Minster. Sir Edmund de Mauley served as Steward of the Royal Household under Edward II and governed the castles of Bristol, Bridgnorth, and Cockermouth. He fought at the Battle of Bannockburn and appears to have drowned in the flight that followed the English defeat. 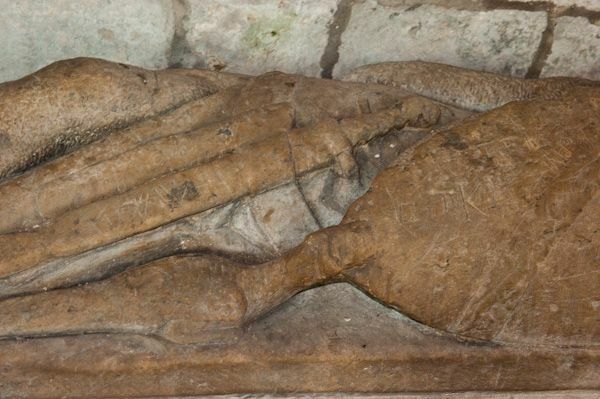 The effigy is wonderfully carved, and the details of de Mauley's costume are very clear. One amusing touch is created by a wyvern, a mythical beast, who tugs at Sir Edmund's shield. The effigy is set beneath a lovely ogee canopy. 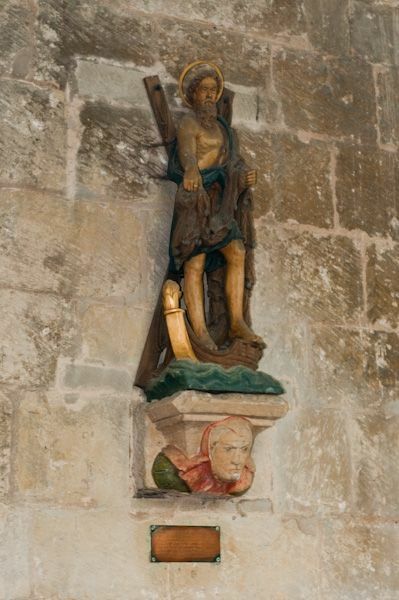 The monument may be the work of masons working with William de Malton of Huggate. There are 18th-century wall monuments to Grimston family members and a wall tablet to Robert Faucon (1589-1661). 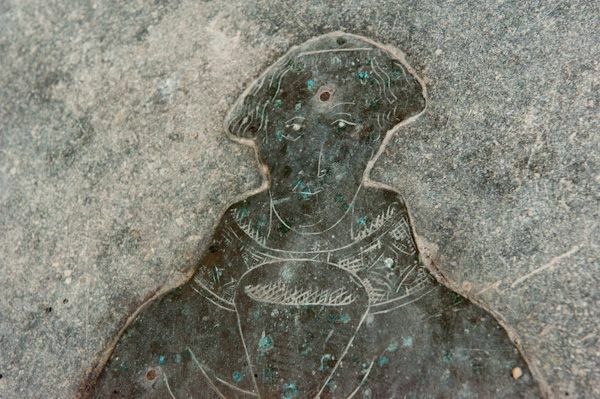 A memorial brass to a former rector named Roger Godeale (d. 1429) is set into the floor. 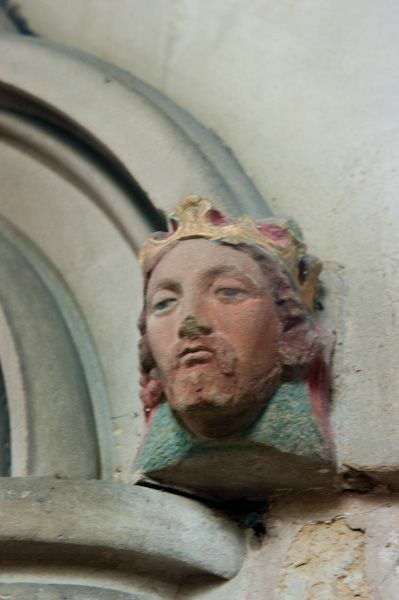 On the north wall of the chancel is painted carving of St Andrew, supported by a stone corbel on which is a face thought to depict William de Brocklesby, who funded the 14th-century rebuilding of the church. 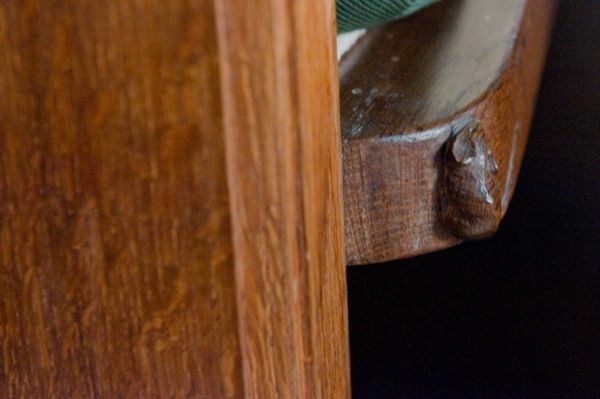 The choir and priest's stalls were crafted by Robert 'Mousey' Thompson of Kilburn, and boast the usual mouse carved figures for which Thompson was famous. 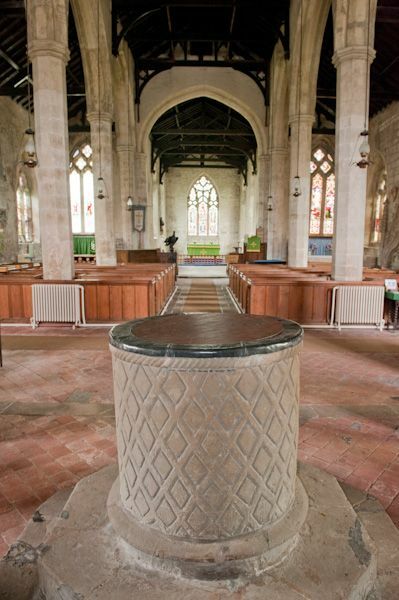 The font is Norman, built around 1150, in a simple tub design covered with diaper pattern carving and cable moulding. Location: Just off the A614 south west of Driffield. The church is well signposted.